This is the perfect Earth Day activity that can be differentiated for any level! This includes an image of the earth and the clouds! 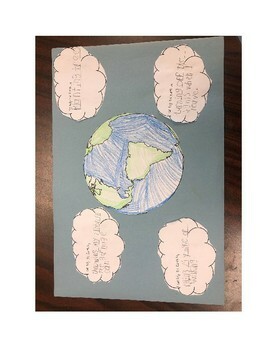 The students can complete the sentence in the cloud and say how they can help the Earth. The students can then color in the Earth and cut it all out and paste it on a piece of colored paper! This is an adorable activity that is the perfect hands on craft for any students!